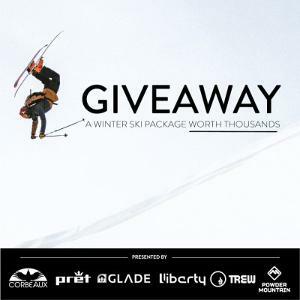 Prize: pair of Liberty Skis of your choosing; Cynic X helmet from Pret Helmets; Pack Jack jacket from Trew Gear; A pair of goggles from Glade; Silkweight Baselayer Kit from Corbeaux; $100 gift card and two hats from Powder Mountain ($1,500). Statistics: This contest was opened by 14 and entered by 1 ContestChest.com members. 7% of those who opened the contest, entered it.